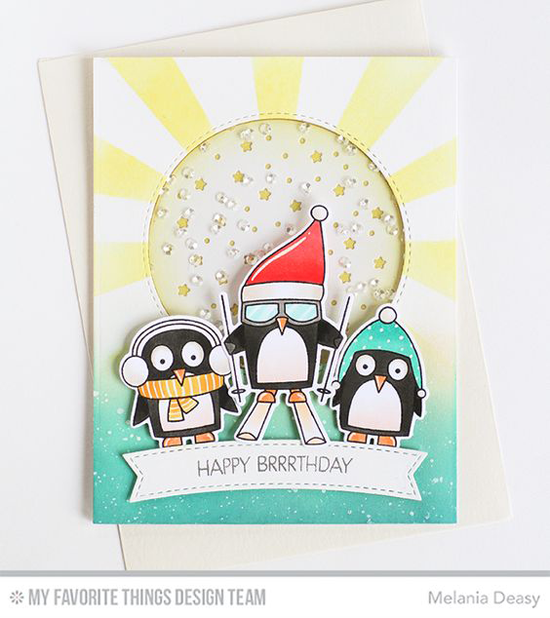 Creating scenes in our cards is awfully fun, and awesome products from My Favorite Things make it easy. Pull up a chair and get some great tips for creating with the Starry Circle Die-namics! Watch the video below or click here (MFT November Release Class - Starry Window Scene) to watch it on YouTube. Don't forget to subscribe to our YouTube channel so that you don't miss a single tutorial! Let's take a look at more examples of how to create fun scenes with the Starry Circle Die-namics! 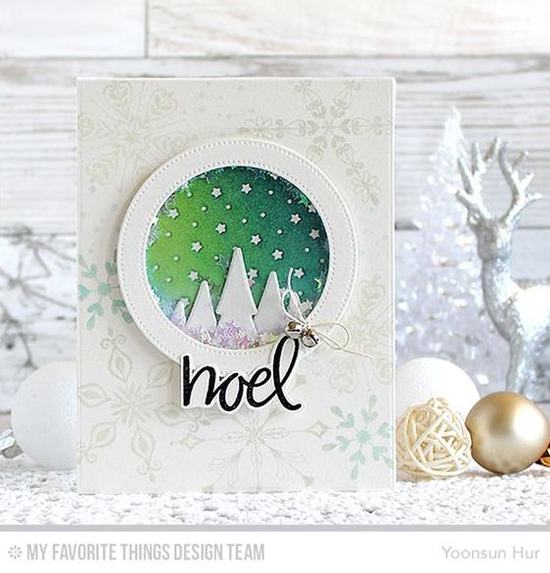 Yoonsun created an ethereal Christmas greeting featuring a gorgeous green/blue sky created with the Starry Circle Die-namics! Melania's scene is a more whimsical take on the Starry Circle Die-namics with a shaker element and the cute guys from the Chill Wishes stamp set. Keisha's lovely wintry card incorporates the Starry Circle Die-namics with some sparkly card stock behind it. 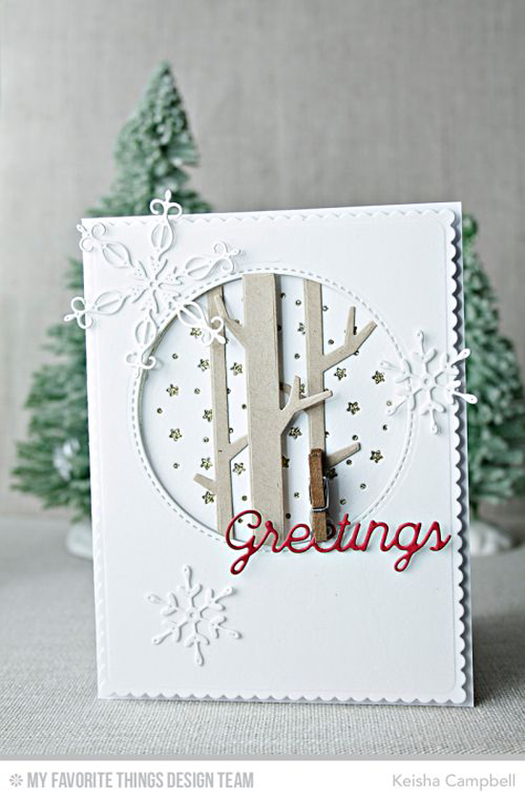 It works well with the Stylish Snowflakes and Solid Birch Trees Die-namics. You will LOVE creating with the Starry Circle Die-namics! Be sure to tag #mftstamps when you post your projects online. We can't wait to see what you've made!